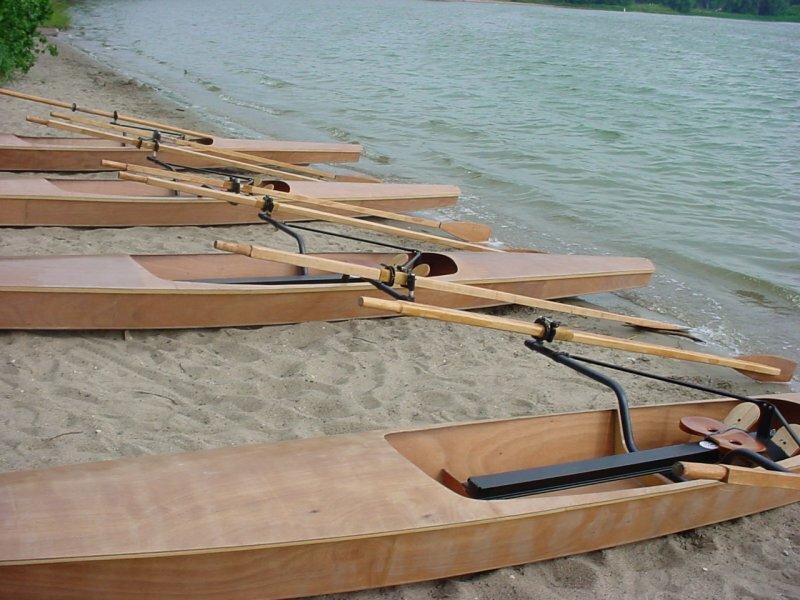 With assistance of friends we built 6 rowing shells using Mr. Ron Mueller of Wayland Marine of Bellingham, WA design. The Merry Shelly is an 18ft x 24" 35lb hull stitch and glue kit. The rowing device is a RowWing which was fastened to 4 interior supports. Sculls were also hand made of basswood. Rowing instruction was provided to many age groups in the St. Paul and Minneapolis areas of Minnesota.